Interoperability is vital in the rescue world. We need to be able to work with the Police as our primary agency. Our First Responders (as our front-line medics) and every other member are trained in handing over casualties to the Ambulance Service effectively. We’ll tell you more about what we’re doing with the Ambulance Service in a future blog. 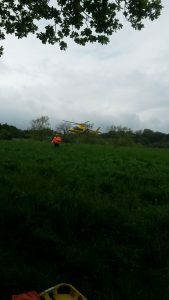 A few weeks ago our dog team were out training in the woods in the north of the county when they were asked to help a member of the public who had fallen and broken her collar bone. We wear our uniforms when on these exercises which does make us easily identifiable. The team members included a first responder who was able to help the casualty while others called for help. 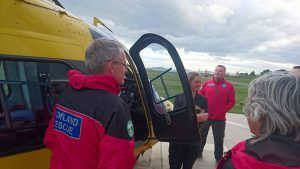 Because of the remote location the Air Ambulance was despatched to assist the call together with a 4×4 response vehicle and both were quickly at the scene and they took over from us. 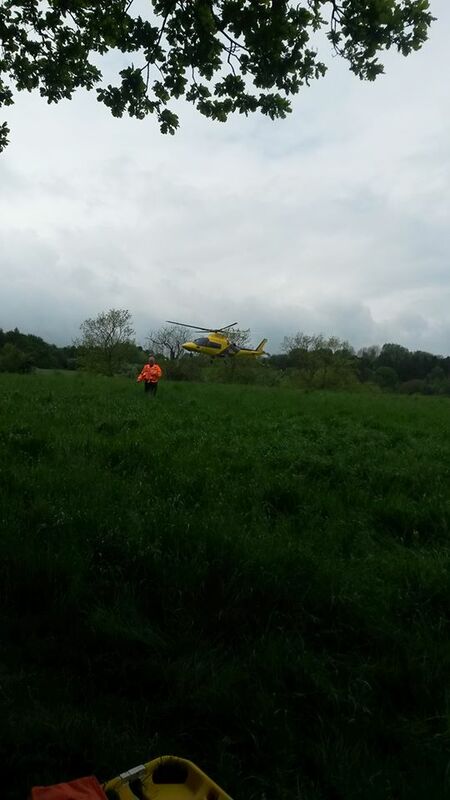 We helped to keep the public clear of the landing place for the heli-med and then helped to extract the casualty to a land ambulance. 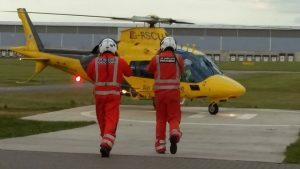 To follow this up we arranged a trip to visit Warwickshire and Northamptonshire Air Ambulance at their Coventry Airport base. They were very welcoming, giving us a guided tour of the Helicopter and we had a thorough briefing on how to work with them effectively. They are very busy and, like us, entirely funded through the generosity of the public. You can take a look at their website here. We usually warn people when we visit them that we might cancel if we are called out. Sometimes it happens and we leave a small group of mostly support members behind us. This time it was our turn to be left, when the Helicopter received a call out, and a couple of minutes later is in the air, speeding across the county to help someone else. 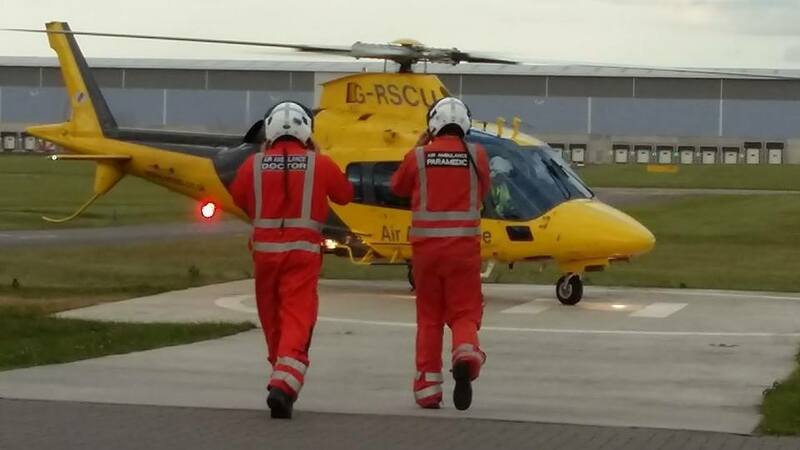 We would like to thank the crew and staff at HeliMed 53 for their fabulous welcome and very educational evening.